Obama bank tax: Smart policy or bank bashing? 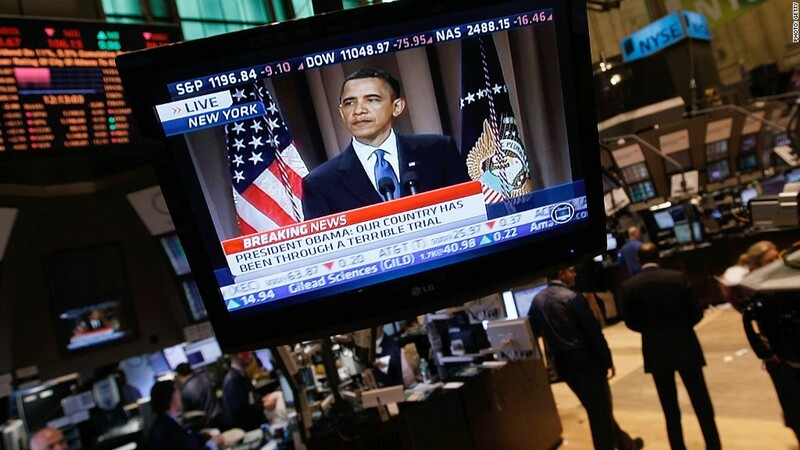 President Obama wants to hit big banks with a new tax to discourage them from taking too much risk. The proposed tax, announced during Tuesday night's State of the Union address, is unlikely to get through the Republican-controlled Congress. Yet it will appeal to many voters and represents an opening salvo in the battle to set the agenda for the 2016 presidential election. CNNMoney fact checks the White House's bank tax proposal. Will it generate tax revenue? Definitely. The proposal would generate lots of money from the sector that was kept alive by a taxpayer-funded bailout. JPMorgan Chase (JPM) alone could be on the hook for at least hundreds of millions of dollars in new taxes. That new revenue could then be used to help boost stagnant wages for the middle class by funding programs like Obama's plan for two free years of community college. "These are institutions that have made enormous profits. They can afford it," said Robert Shapiro, a senior fellow at Georgetown University's McDonough School of Business. Will it encourage banks to reduce risk? Maybe. Too much leverage -- the amount banks borrow relative to their capital -- helped cause the financial crisis. Big banks like Lehman Brothers bet the house -- and lost. The White House said the proposed bank tax would "make it more costly for the largest financial firms to finance their activities by borrowing heavily." The proposal said it would target liabilities, yet it's unclear how that would work in practice. If Obama were to target all liabilities, banks could respond by simply making fewer loans. "It's going to raise the cost of capital. It will reduce the capacity of the banks to make loans," said Jeffrey Shafer, a former official at the Treasury Department and Citigroup. Is it smart policy? Probably not. The bank tax will definitely poll well with voters. After all, it's easy to hate on the big banks that helped cause the financial crisis. In that sense, the bank tax is smart politics by Obama. But it's much tougher to argue it's smart policy. "It makes absolutely zero sense. It's clear to me all economic-policy thinking has gone out the window on this. It's pure politics," said Shafer. Through the Dodd-Frank reform law, regulators are already trying to prevent the next crisis by forcing banks to beef up on capital, the money used to cushion against losses. They are also making banks become more liquid, meaning they must hold assets that can be sold easily, even during times of panic. The proposed bank tax is "not an efficient way" to make the system safer, said Shapiro, a former economic adviser to Democrats like Bill Clinton and Al Gore. "It is not a substantial argument." Will it fix Too Big To Fail? Not really: Supporters of a bank tax argue it makes sense to charge mega banks like Goldman Sachs (GS) for the fact they enjoy lower borrowing costs because everyone assumes the government would bail them out. Yet the tax Obama is now proposing wouldn't just be limited to those Too Big to Fail banks. It would hit the roughly 100 U.S. banks that have over $50 billion in assets, including regional lenders like Huntington Bancshares (HBAN) and Zions Bancorp (ZION). "This is a shotgun, not a bullet," said Ernie Patrikis, a partner at White & Case who used to be general counsel of the New York Federal Reserve. The bank tax, which is already being opposed by Wall Street's trade groups, could even backfire. "It would just increase bank costs, which would have to be passed on to customers in other ways. There's no free lunch," said Patrikis.